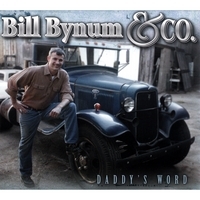 by Bill Bynum & Co.
Americana -- as comfortable as old jeans and as fresh as a new blade of grass. Leans in to bluegrass, then veers toward country. With songs both traditional and original, and a sound that's at once as comfortable as old jeans and as fresh as a new blade of grass, Bill Bynum & Co. is a band that’s easy to love and hard to quit. The band’s core of guitar, Dobro, fiddle, bass and harmony vocals can lean into bluegrass, veer toward country, or take listeners on a unique journey through Bill’s original songs. Soon he was writing them too. Bill is a first-prize winner in the Metro Detroit Songwriting Showcase with his song “Lovin’ You.” He has collaborated with bluegrass legend Pete Goble, an International Bluegrass Music Association Lifetime Achievement Award winner. Bill lives for the joy of entertaining his audience. A true showman!